Firefox 68 is currently in Nightly. Firefox 67 is in Beta. The deadline to ship updates for Beta will be on April 30. Also don’t forget that Firefox 68 is going to be the next ESR version: ideally you should be localizing it early in Nightly, in order to have a good amount of time for testing before it reaches the release channel. In Firefox 68 we’re going to remove the following locales: Assamese (as), South-African English (en-ZA), Maithili (mai), Malayalam (ml), Odia (or). We’re also working with the Bengali community to unify two locales – Bengali India (bn-IN) and Bengali Banglashed (bn-BD) – under a single locale (bn), to optimize the Community resources we have. Open about:config and create a new boolean setting, extensions.fxmonitor.enabled, and set it to true. Navigate to a breached site. You can pick a website from this list, just make sure that the “AddedDate” is within the last 12 months. Just like for Firefox Desktop, the deadline to ship updates for Fennec Beta will be on April 30. Read the previous section of this report for more details surrounding that. A notable Android update this month (that we’ve just announced on the dev-l10n mailing list – please consider following if it’s not yet the case) is that we’ve exposed on Pontoon the new Android-Components strings as part of the new Android-l10n project, to a small subset of locales. Fenix browser strings are right around the corner as well, and will be exposed very soon in that same project, so stay tuned. Read up here for more details on all this. On Firefox iOS side, we’re still working hard on shipping the upcoming version, which will be v16. Deadline for localization was today (March 21st), and with this new version we are adding one new locale: Vietnamese! Congrats to the team for shipping their first localized version of Firefox iOS! Mozilla is partnering with the European Union to promote its Facebook Container extension in advance of the upcoming EU elections. We have translated the listing for the extension on addons.mozilla.org into 24 languages primarily used within the EU, and we could use your help localizing the user interface for addons.mozilla.org so people can have a more complete experience when downloading the extension. AMO frontend and server are two huge projects. If your locale has a lot to catch up, you can focus on these top priority strings the team has identified (note there are two tabs). You can search for them in the AMO Frontend project in Pontoon. In order to promote the extension in 24 languages, we need to enable AMO server and AMO Frontend in all the languages, including Maltese, of which we don’t have a community. We also added a few languages out of product requirement without communities’ agreement. These languages are on the “read-only” locale list. They are Croatian, Estonian, Latvian, and Lithuanian for AMO Frontend, and Estonian and Latvian for AMO Server. If any of these communities are interested in localizing at least the high priority strings, please email the l10n-drivers so we can change the language setting. There are a few updates coming soon. To prioritize, make sure to focus on shared files first (main.lang, download_button.lang), then the rest by star priority rating, or by deadline if applicable. You may see a few of the same strings appearing in several files. We usually leverage existing translations into a brand new file, but less so for updated file. In the latter case, please rely on Pontoon’s `Machinery` feature to leverage from your previous work. 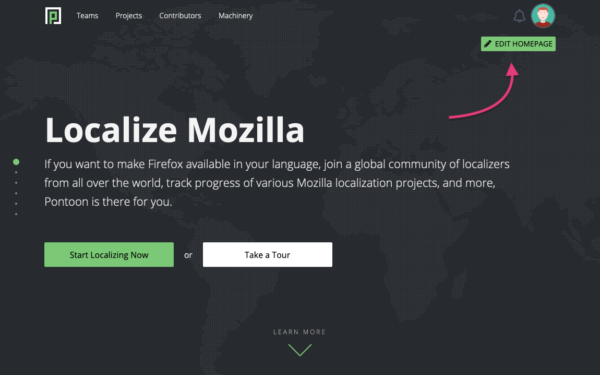 Many new contributors joined the Mozilla localization communities through this project and are only interested in this project. Though there is an existing community that has been localizing other projects, the new contributors are new to localization, to Pontoon, to Mozilla localization process. They need your help with onboarding. Many have contributed to the project and are waiting for constructive feedback. Locale managers, please check the Common Voice project to see if there are strings waiting to be reviewed in your locale. Try to arrange resources to provide feedback in a timely manner. Based on the quality of the new contributors’ work and their interest, you can grant them broader permission at project level. A very quick update on the misinformation campaign — the scorecard mentioned last month won’t be released, due to external changes. The good news is that a lot of the work done by the team is being reused and multiple campaigns will be launched instead. Details are evolving quickly, so there’s not much to share yet. We will keep you posted! Translate.Next. Soon we’ll begin testing of the rewritten translation interface of Pontoon. The look & feel will largely remain the same, but the codebase will be completely different, allowing us to fulfill user requests in a more timely manner. Stay tuned for more updates in the usual l10n channels! Improving experience for 3rd party installations. While used internally at Mozilla, Pontoon is a general purpose TMS with good support for popular localization file formats, ready to localize a variety of open source projects, apps or websites. Vishal started improving experience for 3rd party deployments by making Pontoon homepage customizable instead of hardcoding the Mozilla-specific content used on pontoon.mozilla.org. The path to setting up a first project for localization is now also more obvious. Under the hood changes. Thanks to Jotes and Aniruddha, our Python test coverage has improved. On top of that, Jotes started making first steps towards migrating our codebase to Python3.